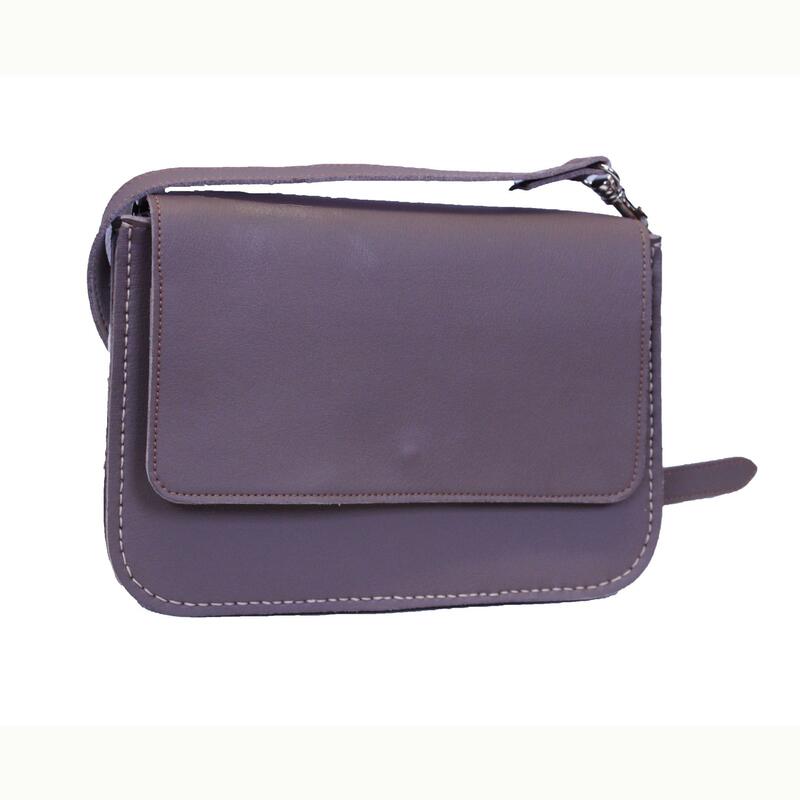 This beautiful handbag is based on our very popular Ladies Purse. 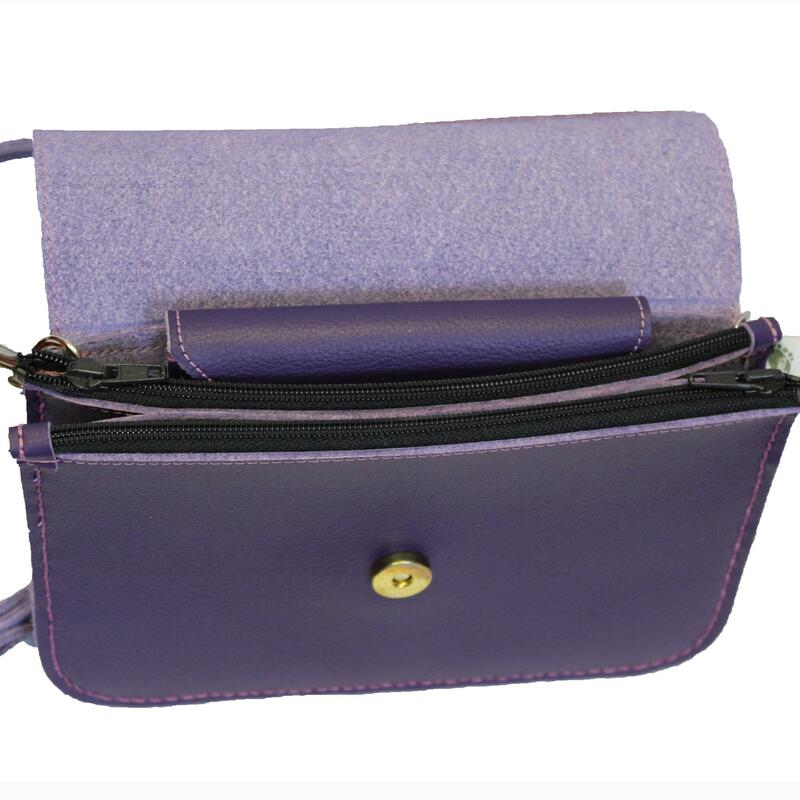 The flap closes with magnetic catch. 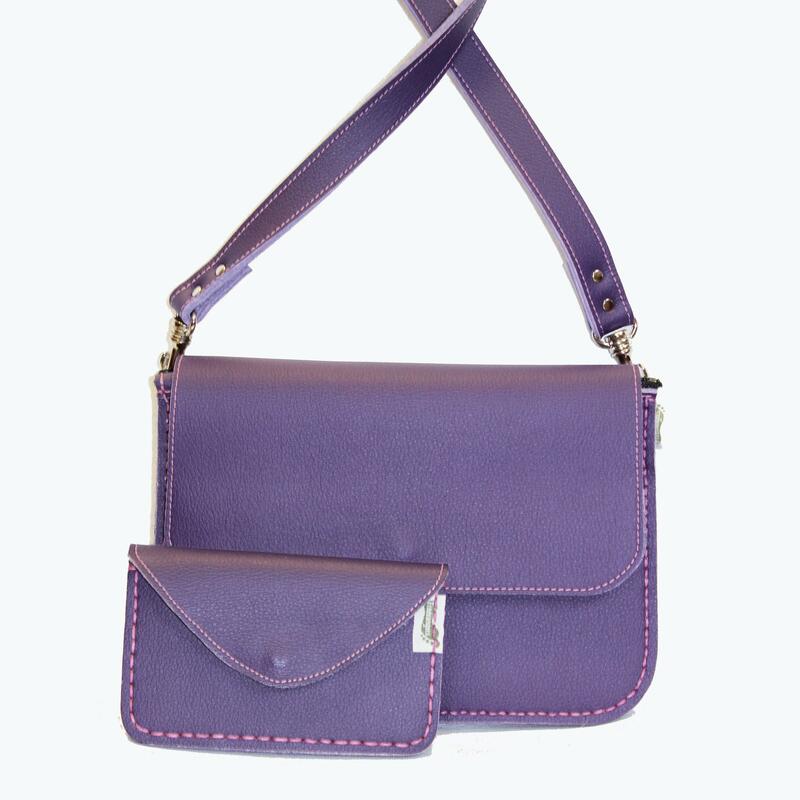 The strap is adjustable and detachable (116 - 126cm) so you can wear the bag as a clutch or an evening bag - how fantastic is this! 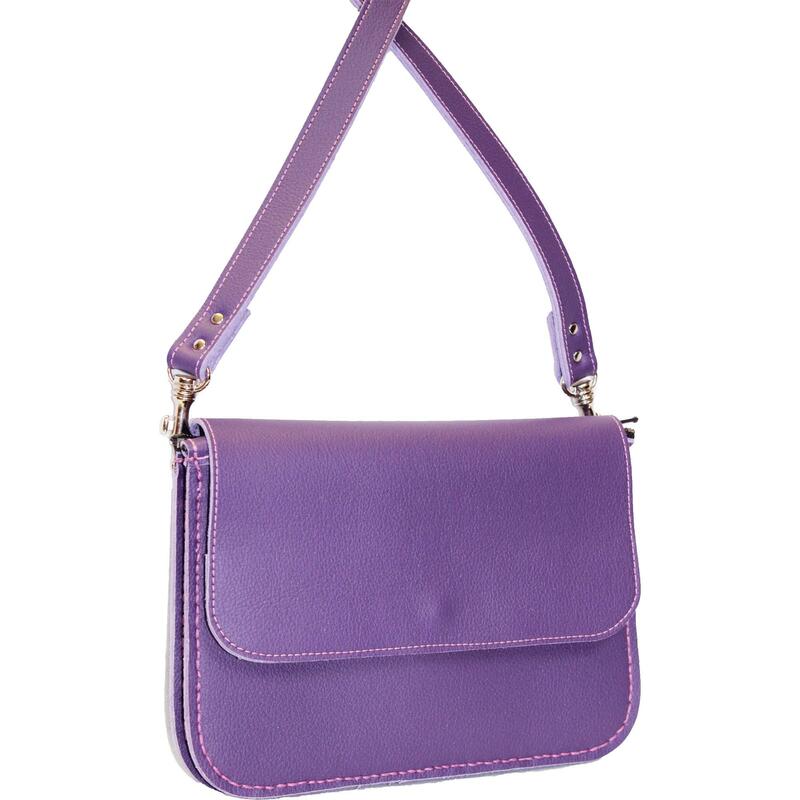 Shown in Purple Passion and Baked Earth, also available in: Jet Black, Nut Brown, Scarlet Tan, Claret and Ink Blue.